After the figure had been delivered I began working on the roots. These did not take long to finish and I was headed back to Atlanta to have them cast and bronzed. When I arrived I got to see the figure just before it was to be poured. 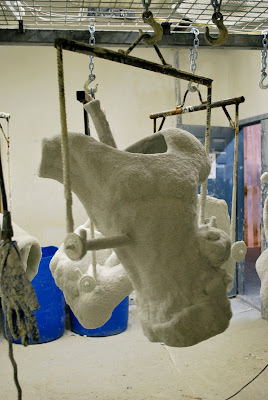 These are sections of the Regenesis man with hollow casts ready to be filled with molten bronze. 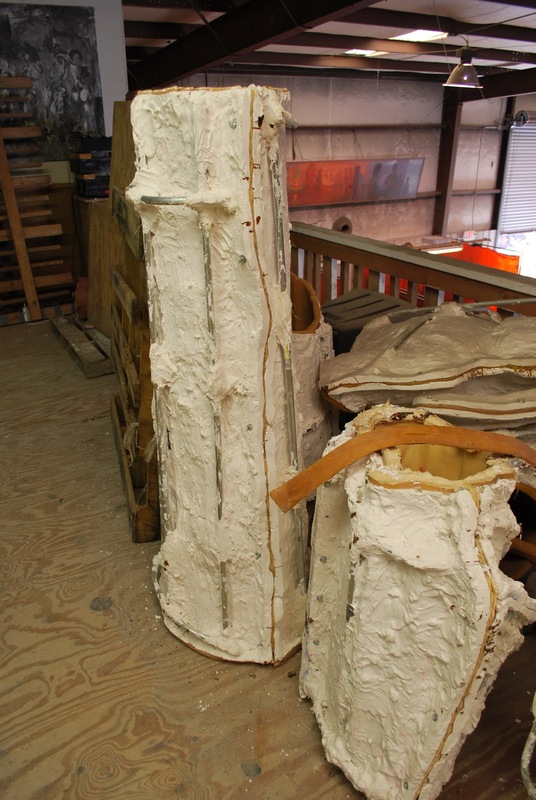 The work is not cast as one large piece. 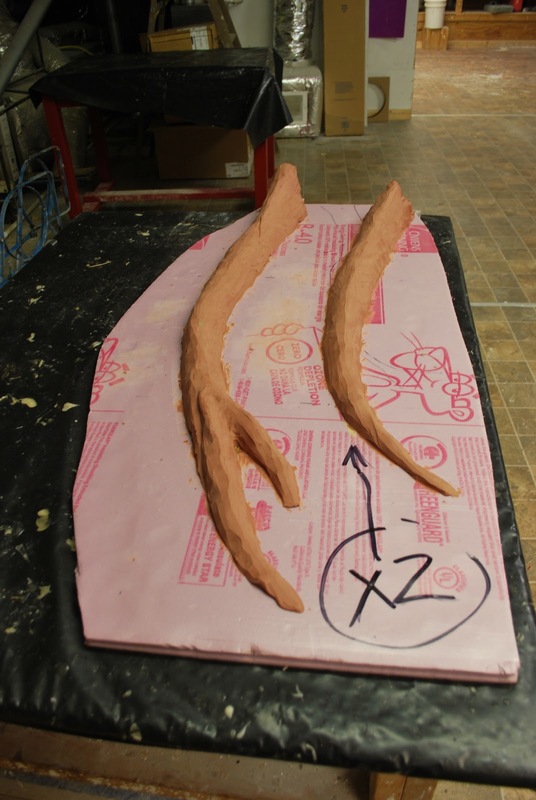 The clay is cut into sections and cast seperately. Yikes! There is a lot of faith required when watching someone cut months of painstaking artwork into small pieces, knowing that this is the way the process must happen. The bronze pieces will soon be welded together seamlessly.